The 30 children’s book publishers below all have one important thing in common: they are accepting submissions directly from authors. Since many children’s publishers only accept from agents, this list should save you hundreds of hours combing through the submission guidelines of every children’s publisher on earth. And here’s a bonus! You won’t even have to wait to get an agent. If you’d like more guidance about writing children’s books, please visit my page on how to write a children’s book. And if you need feedback on your book, please look at my children’s book editing page. Also, check out my video course on how to write, edit and publish a children’s book. 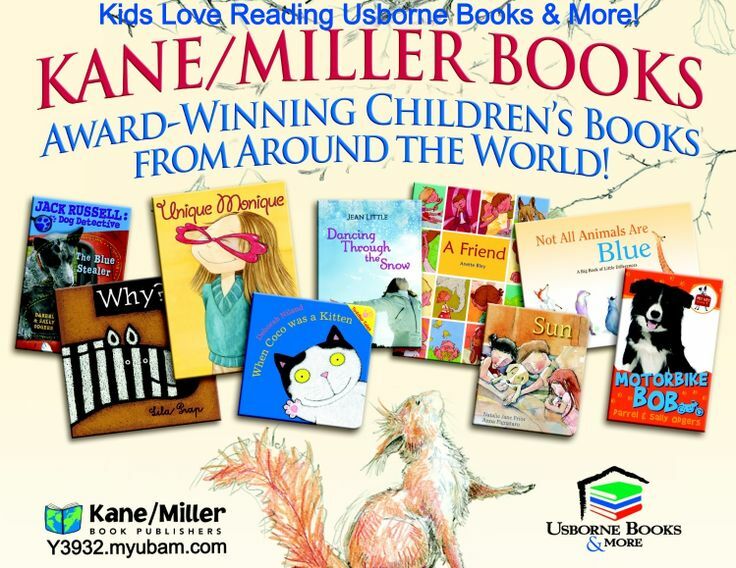 Dial Books is one of the most prestigious children’s book publishers out there. Just look at the impressive list of awards and honors they brag about on their home page. They publish about 70 hardback children’s books a year, from toddlers all the way up to Young Adult. You can find their submission guidelines on their website. They do mention that they don’t respond to submissions unless they are interested in the book. This might be disappointing not to hear back, but I know they are overwhelmed and at least they’re still accepting unsolicited submissions and not requiring an agent. Sample Book: A boy and his grandfather have their lives changed by a mysterious circus. This is a company with such a legacy and history that they have an entire book written all about it: Holiday House: The First Sixty-Five Years. I’ll save you the trouble of reading it: They’re an independent company that publishes children’s books only, specializing in hardback covers for ages 4 and up. 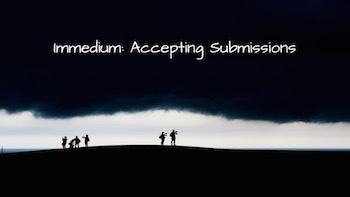 Submission Guidelines are here, but the essence is to mail your entire manuscript. They prefer books that teach science and math in fun, picture-book formats. Additional submission guidelines are available on their website. The best word to describe Immedium is innovative. They’ve only existed since 2004, but they’ve won many awards every year for their books and had several #1 best selling books. They’re based in San Francisco and do a great job of maximizing your children’s book potential across all mediums, from selling television rights to making action figures. Check out their submission guidelines here. What they’re looking for above all is originality. If you’ve got a children’s book about a topic that seems different from all the books out there, submit to them. 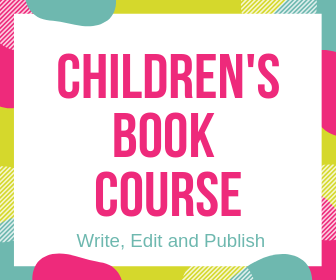 Learn how to write, edit and publish children’s books. Flashlight Press is a Brooklyn-based publisher that focuses entirely on children’s picture books. If you have questions, you can also contact them via their contact page. 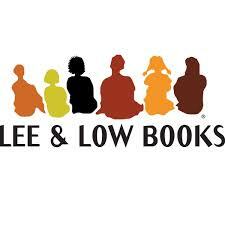 Lee & Low specializes in multicultural books for ages 5 – 12, which is wonderful, since fewer than 10% of children’s books contain a main character who is not white. There are word limitations: manuscripts for fiction should be less than 1500 words and nonfiction books should be less than 3000. They DO NOT want any illustrations (unless you are a professional illustrator). Unfortunately, to submit here you’re going to have to shell out some money for printing and postage, because they only allow submissions by mail. The biggest Canadian publisher of children’s books, Kids Can Press accepts manuscripts from Canadians, but not from children or teenagers. They’ve won five big literary awards in the last five years, and have a great track record of introducing new titles. 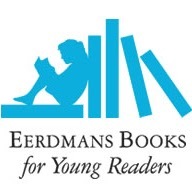 They are looking for picture books for children, and chapter books for kids age 7 – 10. They don’t want YA or fantasy novels. 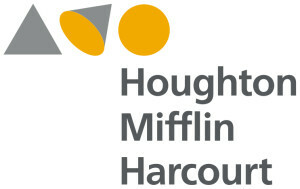 Hogs Back Books publishes children’s books for kids under the age of 10. If you look through their catalog, you’ll find many of the books feature animals as the protagonists. Now this is a cool publisher. Eklavya is a NGO (non-governmental organization) based in India trying to get books into the hands of children. By submitting here you not only have the chance to get your manuscript published, you also have the chance to do a good deed and help children who need help the most. They are looking for educational books that will help teach children basic principles of life, science and healthiness. They specialize in children’s flip books and picture story books. You don’t need to be writing in their language to submit a manuscript — they will translate it from the English. If you look at the sample titles below, you’ll see most of them feature animals as the main characters. Submitting is as easy as uploading a manuscript. 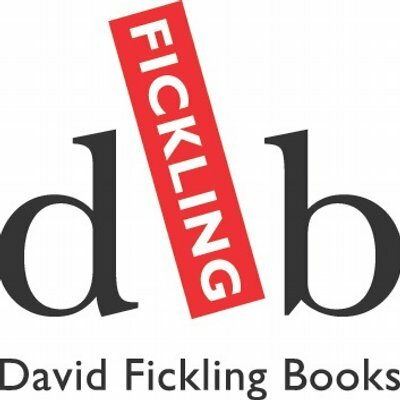 David Fickling books does not accept unsolicited manuscripts on a rolling basis, but they do have an annual contest in which authors can submit their book for a chance to win a publication and a publishing contract. This is their contest page, called Master of the Inkpot Competition — check back here for the submission details. Even if they don’t end up choosing your manuscript, they announce five finalists, and that’s the kind of press which might help get your manuscript accepted at another publisher. They used to be an imprint of Scholastic, then of Random House, and now they’re independent. They describe themselves as “nimble,” which means they’re flexible enough to market your book in many creative, unorthodox ways. They occasionally open up submissions, although for most of the year it’s closed. Check their website to see whether they are seeking unsolicited submissions at the moment. When they are open, they do not accept online submissions. They are an independent publisher (if you can’t tell by now, most corporate publishers don’t accept unsolicited submissions, while most independent publishers do. So if you don’t have an agent, you’re most likely looking for an independent publisher for your children’s book). In the last two decades, they brag that they’ve won 2,000 awards. Bookfox is not going to try to fact-check that. They have a backlist of 3,000 books and a staff of 100. If you’re going to go for an independent publisher, this is one of the biggest. They specialize in Middle Grade, but also have YA. 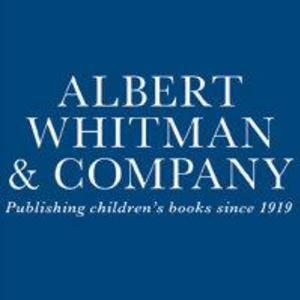 Albert Whitman accepts unsolicited submissions from unrepresented authors, and they publish roughly 40 books a year (no word on what percentage of those books are unsolicited). Email submissions are allowed, but they will only get back to you if they are interested in the project. This is a company with a great pedigree and some great titles. 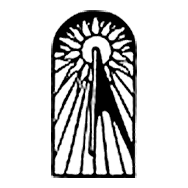 They are one of the oldest independent houses, publishing since 1919, and are highly organized and will do your book justice. If you get a chance to publish with them, I would recommend it highly. They accept “children’s literature,” which sounds more sophisticated than “kid books.” They do not accept online submissions, only ones by mail. Additional guidelines for writers can be found here. They are interested in innovative children’s stories told in bright and refreshing ways. They publish books for infants, toddlers, middle-grade, and young adult. Eerdmans publishes only 12 – 18 books a year, which makes them one of the smaller independent publishers, but their backlist looks fantastic. They are looking for a wide variety of books, but especially ones that celebrate diversity, focus on an important historical moment, or relate to social issues. 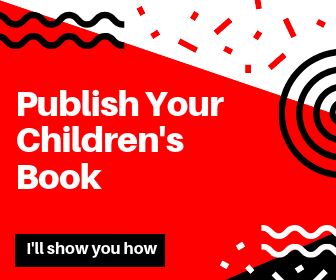 Learn how to edit and publish your children’s book in this online course. Free Spirit publishes 20 – 25 titles a year, and have been established for more than 30 years out of Minnesota. As far as their submission guidelines, they are looking for books with anti-bully messages (I doubt many people send them pro-bullying messages), and for books that teach kids character, leadership and service. They also will consider fiction if it communicates these messages. They tend to like hard topics like anxiety, grief and loss, and conflict resolution. Little Tiger is a British publishing house with three imprints, but only one accepts unsolicited submissions. 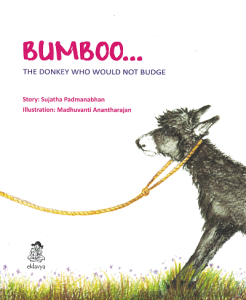 Stripes Publishing accepts fiction for children aged 6 – 12. Send manuscripts by email only. There’s a Dragon in My Backpack! Meadowbrooks publishes equal parts nonfiction for parents (how-to-parent books) and fiction or poetry for 5 – 12 year olds. They offer a shocking statistic to either ward off the faint-of-heart or to make you sympathize with them: they say they receive more than 20,000 submissions a year, and presumably only accept a handful of them. It takes them 6 – 9 months to review a submission. They do not accept email submissions — mail only, please. 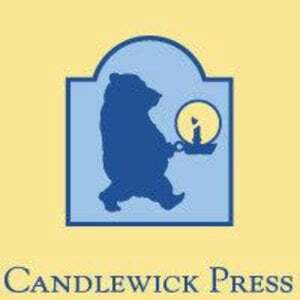 Sleeping Bear Press, located in Michigan, seeks submissions of children’s pictures books, middle grade, and young adult manuscripts. Mail OR email submissions, but since they only review books three times a year, be prepared for what could be a long wait. A British-based publisher which is top notch, considering the impressive numbers of 100 million books in print and availability in over 70 countries. They prefer email submissions, buy world-wide rights to your book, and do not want you to submit simultaneously to other publishers. One good thing about their Submission Guidelines is that they say that each submission will be reviewed by two or more editors, so you can be sure you’re getting a fair shake. Arthur A. Levine books is an Imprint of Scholastic and a big award winner (currently, two of their books are up for the Kirkus Award!). Their backlist includes 179 award-winning children’s books, and you have a chance to make that 180. They accept picture-book submissions, and actually sound happy about it, unlike many publishers who act as though the slush pile is crushing them. What is your manuscript about? Why would a reader turn to your book? What makes your book original or memorable? August House likes folktales drawn from popular oral traditions, multimedia books, and children’s stories. They’ve been around for more than three decades, and are based in Atlanta, Georgia. They are mostly seeking diverse stories and stories that are folktales. Please only submit by mail. This is the company that publishes the most famous children’s magazine in the country, Highlights, so you’re in good hands. They say they’re interested in “excellent storytelling, imaginative illustration, and strong characters,” which essentially means they’re willing to read and accept just about anything, as long as it’s good. They accept submissions by mail only, and try to respond to all submitters within 3 months. What I like about this publisher is that they actually will send a form rejection if they decide the book isn’t for them, unlike most publishers who don’t even bother. 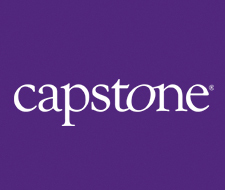 Capstone is a gigantic children’s book publisher with more than 3,000 titles in print, and a mind-boggling array of options for every age group, including a bilingual division. This is probably the biggest publishing house on this page, but if you want to swing for the fence, go for it. Their submission guidelines say to submit by mail only, and include the entire manuscript. 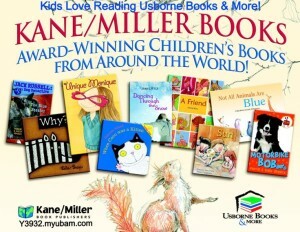 Kane Miller has an international focus, but at this time they’re looking for books with an American theme. They prefer first-person stories, coming from a specific point of view, rather than overview stories from the historical third-person. 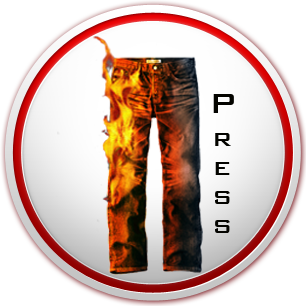 Pants On Fire wins the award for the silliest children’s book publisher name. 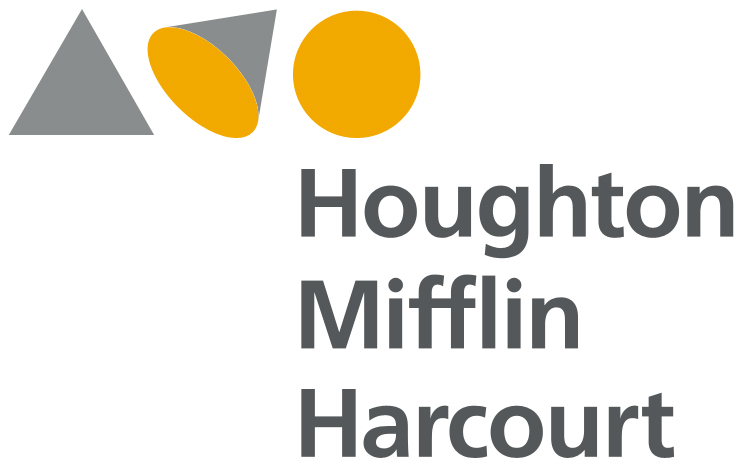 At the time of this post, they were not accepting Picture Book or Chapter Book submissions, but they were seeking Middle-Grade, Young Adult and New Adult books. You can email them but don’t send any attachments — send it all in the body of the email. They are looking for educational nonfiction books suitable for ages 5 – 10, about 500 – 800 words long. If you have a book that’s about cultural diversity, nature, or the environment, send it to them. They’re also very interested in engineering, science, biography, and history. They have a very handy submission form online that makes it easier to send them your manuscript. The great thing about this publisher is that they say they receive hundreds of unsolicited submissions a year (rather than thousands), so if your book is right for them, you have an excellent chance. 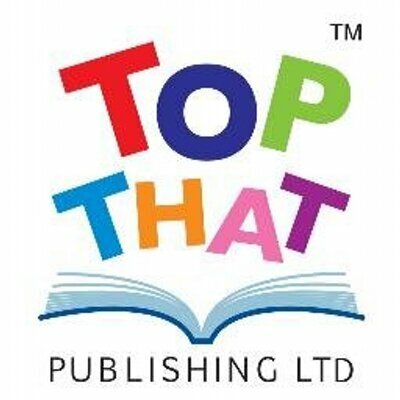 OnStage Publishing is a relatively small independent publishing house focusing on children’s literature. They publish chapter books, middle-grade fiction and Young Adult, mainly for ages 8 to 18, and in both print format and e-book format. Their guidelines say they do not publish picture books. For nonfiction, please query them first, because they are looking for very specific content. This is more of an academic publisher, looking for books that educators can buy and use in the classroom. Very well listed and comprehensive. Thank you, Bookfox. Appreciate the work to put together such a comprehensive list. Thanks! Thanks for going to the trouble of putting all this together! Thank you, BOOKFOX, for the extensive, current list of unsolicited publishing possibilities. Just reading the submission guidelines of several is insightful. Just what I was looking for!… Thank you! Thanks very much for putting together this information – I really appreciate your time in doing this. Great list. Exactly what I needed! Thank you. Great List, 2016 is the year my first childrens book gets a publishing contact, well I hope. Found 6 from the list to investigate further, so thank you. Aussie Queensland. Looking for publisher of christian children songbook with cd insert. Thanks for your help. I tried to find a christian publisher who is willing to do a CD insert but couldn’t. I would recommend going to Amazon and looking up an example of a christian songbook with a CD, and then figuring out who the publisher is. GAP eBook downloads, eBooks for specific vendors (Amazon, Nook, iTunes), eBooks on CDs, full color Print books 8.5×8.5 inches, hardcover books 8×10 and book video DVDs are based on the fundamental concept of using art, learning, music, good morals, healthy living, and special activities to captivate the preschool and primary child’s attention in order to instill a Christian and healthy attitude of learning, sharing and caring. Our picture books are also being released as an application for touch screen technology on ereaders and mobiles. Check us out- some books are available at Apple’s iTunes APP Store- for iPhones and iPods! Android Apps-an educational alternative to gaming! Thank you for this extensive list. Someone put a lot of time into this and I appreciate it. As of August 1, 2005, Dial will no longer respond to your unsolicited submission unless interested in publishing it. Submissions postmarked August 1, 2005, or later will be recycled. PLEASE UPDATE THIS INFO IN YOUR ARTICLE. This is exactly what I said in the article. Dial Books will ACCEPT unsolicited submissions, but they only reply if they want it. Great list! Thanks for compiling this. Easy to navigate list, convenient links to the site pages, and witty commentary. Brilliant. Thank you for doing some of the legwork for me! How nice of you to say! Glad it’s helpful. I’d like to second the complimentary remarks. So generous of you to share. I can tell lots of work went into making it helpful, but not boring. yeah, it’s makes sense. How i wish my book will be accepted. But i believe. Nice and comprehensive list for the authors looking for children's book publisher. I would like to add one more name in the list i.e. Cambridge University Press India. This is a well-known children’s book publisher in India. They publish both educational and entertainment books for kids. A big thanks for this awesome list! It’s the shortcut I’ve been hoping for! Great resource. Thanks. I have a question. What’s your opinion on multiple submissions even when a publisher specifies not to? My workshop writer, who is published himself, says that while its a courtesy to the publisher to only submit one at a time it ultimately shorts the writer. Thoughts? I generally ignore bans on simultaneous submissions (which are different than multiple submissions). Worse case is you get multiple acceptances, and you get to pick who you want. But if one publisher consistently gets back to you in a week or two, you can give them an exclusive. Thank you for sharing… This was a blessing to me!!!! Hi , im new to the scene. Ive written and published one book through a site xlibris, not a great idea in retrospect but its done.. “Mommy wasnt always a mommy”. i have many other stories that people have loved but i really just dont know where to turn. My style is kinda like a dr. Suesse i guess, but far from a copy. I would love if i could speak to you and maybe send you a story even to get some direction. Hi Daniel, I’d be happy to help you. Check out my children’s book editing page. I have never written a children’s book before, but after my Mother in Law passed away 3 years ago, I can’t stop thinking of how wonderful stories of things throughout her life would be as children’s stories. I have written the first of many I have in my head, I want to read it to my grandchildren and see if it keeps their interest before wasting anyone’s time, believe me, if it can keep their interest, it can keep any child’s interest. The one thing I am wondering about, is if you need to have someone legally prove it is your story before submitting, I mean, if you have an idea for an invention, you would get it patented before taking it to someone, is it the same for stories? Also, I would want some of the proceeds to go to a charity in my Mother in laws name if I had a book that was published. Glad you’re inspired to write a children’s book! To answer your question, no you don’t need to copyright it. When you write it, it’s already yours, and especially if you email it to someone, that creates a time-stamped papertrail. I don’t know if this is a good idea or not, and would like your opinion. I’ve written many children’s stories and now feel the confidence to try submitting them that I’ve lacked in the past. Because I am married to a federal law enforcement officer, I am super suspicious and not very confident in people doing the right thing. I always make two copies of what I have written, one that will get submitted and one that I have notarized proving I wrote it and the date, which I will keep. I’ve heard so many stories of people getting ripped off by others that I feel this is a way to protect myself. Do you think this is a good idea or should I just be more trusting? Hi Pattie, you can always copyright your work officially if it’ll help you sleep better at night, and I teach you how to do that in my children’s book course. But I also generally counsel writers against doing this. The chances of someone stealing your work are incredibly small, and even if they do so, you have a lot of legal recourses. Technically, your work belongs to you the instant you write it, and emailing it to someone leaves a paper trail so you can prove it. Hi I go to Library of Congress, Copyright.gov and upload my photos or text or both, and register in LITERARY and go for it. 50 bucks each certificate of Copyright …GOOD LUCK! Thanks so much for this rich writer’s resource! I finished my chapter book a year ago and have been looking online for a publisher. Wasn’t sure if self-publishing was a better idea than traditional but since reading your list I am inspired to try these and also to write some more. Will let you know how I get on. By the way, do we need to send some sample illustrations along? Wasn’t planning too many in this book but have got a few that my talented artist daughter has done for me, after she read my book. Great, glad you enjoy it! You don’t need to send illustrations, but you can if you want. Also, if you’re looking for an editor’s keen eye before you send it to publishers, I can help! I noticed some don’t even want illustrations unless your a professional. For my book, the illustration is key to understanding the story. Should I bother sending my work to them? I would explain what the illustrations will be in brackets like so [the character eats a peach]. Speaking as a professional picture book illustrator, the majority of publishers don’t accept illustrations by the author unless the author is an established, professional artist. 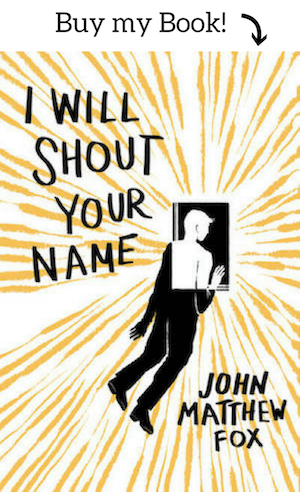 Publishers select the book’s illustrator. The author has NO say in how the illustrations should look. You often won’t even see the illustrations until just before publication. If you don’t have a CV as an illustrator, including art with your submission only alerts the publisher that you’re an amateur who didn’t do research, or you’re an amateur who did the research but chose to ignore it. Either way, it’s not professional and leaves a bad impression. If you’re dead set on illustrating the book yourself, you can either become an established, professional illustrator. specifically of children’s books, or self-publish. Do you charge to read the book? Yes, the reading and the editing happen simultaneously. And the editing includes written feedback (about a page) as well as editing marks and comments on the manuscript. I have been trying to google different publishers for myself for days. No idea how I missed this gem of a list! Thank you for taking the time to do this. Hello! Thank you for the in depth list! I read that Worthy Publishing acquired Ideals Books in 2014. Is their submission guidelines the same since the acquisition? As far as I know. This post was published in 2016, so the information should be current. I sent a manuscript to Ideal Books and it came back “Return to Sender.” I also tried their number, which has been disconnected. It appears they have been acquired by Worthy Publishing and Worthy Publishing does not accept unsolicited manuscripts. I had hoped to publish an Easter themed children’s book, so the search continues! Thanks so much for this resource. Trying a passion in retirement and appreciate the help. Thanks for the list! Do you know which would be the best to send a number/color book to? I’m not sure. I know several of them accept those kind of children’s books, but you’ll have to consult each publisher’s guidelines. I am an editor from Ideals Children’s Books, which is now called WorthyKids/Ideals. We are an imprint of Worthy Publishing, however the children’s division does still accept unsolicited manuscripts. We do ask that authors become familiar with our current publishing program before submitting, though. We encourage you to visit our website: http://www.idealsbooks.come or our Facebook page https://www.facebook.com/IdealsBooks/about/?tab=page_info to request submission guidelines. Hi, I need help in publishing two books for children “Golden words of Hazrat ALi” & “The Sacred Sacrifice”. Can you help? Hi Noor, I can help in one of two ways. If you’d like me to edit your work, to help it get ready for publishers (or for self-publishing), I offer that service. I can also give you advice about traditional publishing or self-publishing after editing for you. If you’d like more advice about the writing world and help with your writing career, I also offer writing coaching. First, thank you for the inspiring information and comprehensive list. Something woke me early today. I knew today was the day to further my knowledge about how to publish two early childhood- self esteem children’s books that I have written. I have been on a search for an illustator and I think I have found one. For you to edit my pieces, would you need the art with it if I intend to submit that way? Would you reccommend even illustrating before a submission or editing? Thank you again. No, I wouldn’t need the art to edit it. And most publishers don’t want you to submit with artwork. They just want to see your manuscript. Let me know when you’re ready to work with me! Thank you for your comprehensive list. It is encouraging! Thank you for compiling such a comprehensive list of publishers from all over the globe. And the best part is reading your comments gives a fair idea about the publishers. I may not be writing a children book but i can sure pass it on to couple of people i know who may need such a list. I am very thankful for your time and energy spent in putting together such precious information. God knows how I’ve been looking for it. I’m convinced that just your willingness to help others will open doors for you in ways that you wouldn’t expect. I wish you all the best. The publisher for my book is now in sight!!! I can’t thank you enough for taking the time to create this list. After coming upon this page I had no more excuses to not get my manuscripts sent out. I am not sure what will happen but at least now I can say that I’ve tried something that’s been a dream of mine for a long time! thanks for putting this list together I found 10 to submit my picture book to online. This is a generous effort to support new writers. I appreciate the time and effort and feel more optimistic about moving forward with my writing. I would simply like to echo the sentiments of the many contributors, and say THANKS A LOT for this list. My daughter, a senior in college, just wrote a children’s book for a class and was encouraged by her professor to have it published because he enjoyed it so much. As she prepares for finals, I decided I’d take a look into publishing, agents, editors, etc. I was clueless on where to begin outside of Google. Your post has helped a lot, and for it I am grateful. God bless. So glad it was helpful! Good luck! Thank you so much for providing this information. As a former Certified Teaching Assistant working with learning disabled children, I created an illustrated book to help children master 225 words most frequently found in literature. The intent is to build self-confidence and increase their desire to read. Your list will help me take the next step. I thought First Edition Design Publishing would be on your list. They accept manuscripts. They are “hybrid”. I’m vacillating because they will not accept my ISBN # What do you think? That’s strange they won’t accept your ISBN. Why is that a deal breaker for you? Dr. Judith Briles advises to get your own ISBN — It is your SS number and identifies you as o\wner. I guess prevents the publisher from taking the book. Yes, if a publisher is going to buy the book, they want to make sure the book hasn’t been sold already, and an ISBN indicates the book is kind of already out there. Very informative. You have given a comprehensive list of publishers. Publishing houses are just trying to protect themselves from lawsuits over stolen ideas. 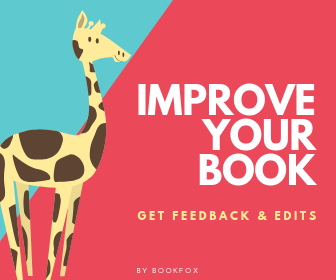 Usually, if a publisher publishes something similar to you, this means someone else had sent them another story that is similar to your story, and they happened to like the other author’s story more than yours. So they’re not stealing it. You see this much more in the film industry with scripts than with children’s stories. Don’t worry about people stealing your idea; work on making your story good enough someone will yearn to publish it. Not sure if the guidelines are different for book dummies. I would think you could just digitally put the images along with your story in a PDF and send it electronically. Wow!! So glad stumbled upon this list! Thank you for this gift! I have a Children’s Story all written in rhythm like a Dr. Seuss type. I had heard in the past that many publishers were cautious to accept this style (things may have changed and I could be wrong). If you could steer me in the direction of the best place to head with my Story, I would be forever grateful! Again, thank you for such a great resource!! Some publishers are against rhyming, others aren’t. You just have to look at each of the guidelines and see what they’ve published before. Good luck! Thank you for your list. I have a special niche and would like your advice on how best to sift or get the work sifted for the best fit. For years, I’ve told math adventure stories to help students, in grades 3 through 7th, better understand and relate to math concepts and each other. I wanted to start with a picture book series (or 3 parts) that could be used with current technology? In considering, when time came, to prepare and submit (retiring on Pi-day 2017), it had to be Charlesbridge Press (which is undaunting) because of their math story books and unsolicited manuscripts. Recently I noticed, their guidelines have changed/specialized, so which. where, and what, guidelines would I use to submit memorable math fiction stories (starting with picture book(s) for classroom technology)??? Which of these would be open to educational math concepts in fiction story metaphor that reflects life? How Fun!!! My son struggles with math (he’s in 4th grade), and we ran across “Times Tales”, which really helped him to memorize his times tables! Your theory sounds similar. . . give the kids something to remember the “facts” by! 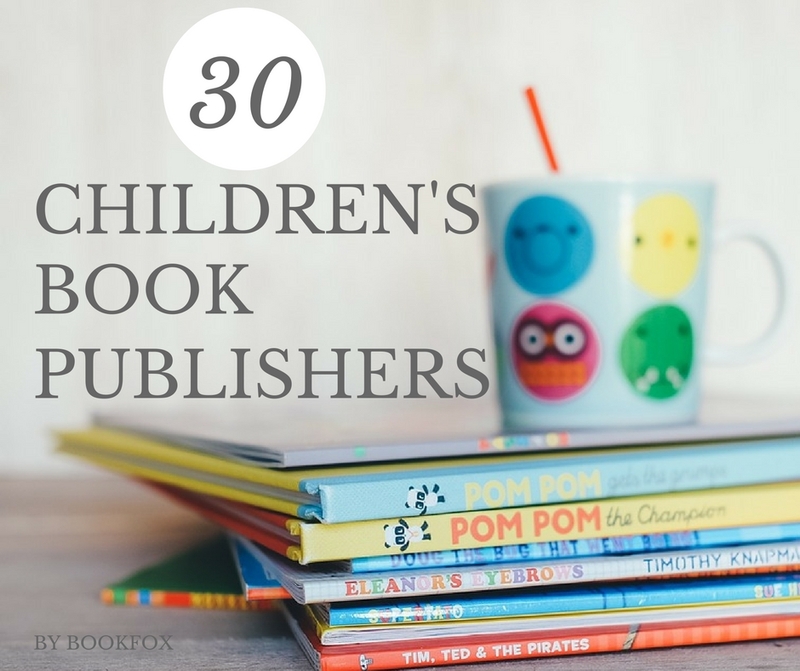 Thank you so much for this comprehensive and very useful list of publishers of children’s books. I am sure that I speak for many other prospective authors when I say that searching for a publisher is a bit of a soul destroying job, and any help we can get is a real boon. I appreciate the time and work that you have put in here. It is just what I needed right now and only wish that I had found it when I was looking first time around. This is such a helpful resource — made my work of seeking out where to send a manuscript/artwork MUCH easier. So glad to hear! Let me know if I can help in any other way. Hi! I am looking for a publisher who focuses on Third culture Kids. Which publishing house do you represent? HI BookFox I am wanting to submit a children’s picture book geared toward ages 3-6 for publication and noticed a lot of the publishers say not to send art work. My concern is that with a picture book, where the story is just as much told through the illustrations as the text that my Idea will not be conveyed unless I include some sort of rough illustrations. Is it really acceptable to submit a text manuscript without any illustrations for a book of this sort? This is the general rule with submitting children’s books: never submit artwork unless you are a professional artist. And even then, it might not be appropriate. Your story should be strong enough to stand on its own without illustrations. If the book has no words in places, describe what is happening in the future illustrations. When I edit children’s books, I’m always evaluating the text to see if it’s strong enough to support illustrations. In other words, I’m imagining the illustrations, and I know whether instinctively whether there’s enough for an illustrator to work with. Ok, thank you. So if my book requires some additional explanation because there’s no illustrations I would do that in the cover letter I send with the manuscript correct? Either in the cover letter or in the story itself inside brackets [ ]. Depending on what works better. Thank you for the work that you put into compiling this list. I have written a very unique children’s book and have been apprehensive in submitting it. I had it notarized because I felt very leery of it being published without getting the credit for it, as that happened to a friend of mine. Do you think it would ruin my chances of a publisher taking a chance on it if it was notarized to show it was written by me? When publishers see that you’ve copyrighted or notarized your book, it basically tells them that you’re a newbie at this. Nobody copyrights their writing because it’s automatically copyrighted once you write it. All you have to do is show the file history of your writing and prove that you wrote it before the other person claims to have written it, and then boom: you win a lawsuit (your friend should sue, by the way. Also, that kind of stealing is very rare). Still, if you’re so worried, you’ve already protected yourself. Hurry up and submit! But if you’d like feedback, I do offer children’s book editing. Thanks Pattie and Bookfox!!!!!! The question was one I had and the response reassures me to hurry up and submit!! Someone miscounted. It goes from number 28 to 30. So there’s only 29. Not that that’s a big deal, but you may want to retitle the article or add another one to the list for us. Still a great list. And thank you for this. Not a miscount. One of the publishers had been doing some dirty bait and switching (pretending to be a traditional publisher while actually charging writers), so I cut them from the list. When I find a new publisher, I’ll add them in spot 29. Thank you for this great list! I have bookmarked your site. Thank for this magnificent list. It will be a great help in finding the appropriate publisher. Many thanks for your time. I am already a self-published author (Why me why here?) and now have potential children’s books to offer; in fact, my wife is jumping up and down with enthusiasm for the one I will be sending off. Your time and effort has helped immensely. Cheers! Thank you so much for this great list! And as long as you’re answering questions…I self-published via Booklocker, and now would like to find a ‘real’ publisher. The terms with Booklocker are clear – I own the book, they do not (as is the case with self-publishing anywhere, I suppose), and in any event, I believe that the book is now out of print, after selling a few dozen copies. My question is, does this previous self-publishing adventure disqualify me from consideration by the folks on your list? Thanks for your (further) advice! Once you’ve self-published, no traditional publishers want you, unless your book has been a run-away hit. Sorry. Well then how the heck do we self-publisher get published in a house? I need/want more exposure, and don’t have the time or where with all to market or publicize my finsihed product. A friend and I would like to break into this venture together. It would be my story with her illustrations. Is this something that is possible or would submitting this way be frowned upon? Depends on the publisher. Submit your story and tell them in the cover letter that you have an illustrator. Very constructive, thank you very much for putting so much work into it. I have used a few of your links to submit my first fiction for children/young adults. Thank you again. Ditto on the thanks – I’ve been waiting to submit anywhere and with this list, finally submitted my first manuscript. Really appreciate your hard work on this! Thank you so much for putting together this extensive list of children’s book publishers. You are one kind-hearted soul! Thank you ever so much for taking your time to put together this list..and all the info you have gathered about each publisher!!! God bless you, sir! Thank you, Bookfox! You are one in a million! Thank you for this great list – so kind of you! Debi, gotta ask…….where/why the spelling? so many of us but so few US – mine was forged in a class with 7 out of 10 girls named DEBBIE! Thanks Bookfox for the list. Thank you! What a well written compilation with a refreshing touches and comments. Very helpful and encouraging! Salariya doesn’t accept unsolicited manuscripts anymore. Thank you for the list. I been reading a book on writing picture books. I know one should know all the aspect of writing and who to submit your manuscript to, and what kind of books they are looking for. I also design party memory books. Hi BookFox, if I have already written, illustrated, and printed my book http://www.12hatsofchristmas.com would any of these publishers be willing to distribute our book? What options are there for people like me who have a book already. It’s new and ready to sell in bookstores. I just need some expertise in getting the books out to the public. No, you’re doing self-publishing. These companies are traditional publishers. You’re looking for a distributor for your self-published book. But no bookstores carry self-published books. Amazon will be the only one who will carry it. Not only is this list highly helpful, but your comments are a treasure-trove as well. THANK YOU! One question: you say no bookstores carry self-published books. IngramSpark, one self-publishing company, leads us to believe independent book stores will carry and sell our self-published books. Am I confused here? You are not confused. IngramSpark is being a little misleading. It’s true that it might be possible, but it just doesn’t really happen. On the whole, bookstores won’t carry self published books. Thank you so much! I wrote a wonderful short book/poem when I was young and it was my mother’s dream to see it published into a children’s book. I finally decided to pursue this in her honor. Thank you for educating me in this new venue and I’m excited to see where it leads! Thank you so much for writing this list. I’ve been discouraged for the longest time trying to wade through the labyrinth of publishers, and the chicken-egg problem of being a first-time writer. I finally feel like I have a path forward and a handful of publishers who might even be *happy* to read my work. I can’t thank you enough. Thank you so much for this informative list! I haven’t seen anything like my project as the stories are auto biographical in content. Can you please give me any advice? Is there any advantage to sending a picture book manuscript directly to a publisher, rather than to an agent? I have had a children’s poem published in a magazine, and have had another one recently accepted, but haven’t had a PB manuscript accepted yet. I have one I just finished but am trying to decide where to send it. An agent can get you a bigger deal and guides you through the process. By going straight to the publisher, it’s more of a DIY model and usually advances are lower. Is Covenant Books a reliable publisher or a scam? Came across their website and I am curious about your opinion. Covenant Books is a pay-to-play publisher, which means that they will self-publish your book for a fee. Other than that, I don’t have a lot of information on them, but since this page gets a lot of hits, you’ll probably find someone else who can tell you about their experience with Covenant Books. I think Covenant Books , if it’s the same publisher I’m thinking of, publishes for a niche audience (members of The Church of Jesus Christ of Latter-day Saints, a.k.a. Mormons or LDS). I believe they publish to a wider market under Shadow Mountain. I believe they publish middle grade books with wholesome values by such authors as Brandon Mull and others. Sorry, correction. The LDS publisher/distributor is called Covenant Communications and is not the same as Covenant Books. I am not familiar with Covenant Books. So so helpful – many thanks for taking the legwork out for everyone and making it quick and simple to identify portential publishers. Brilliant! I am a Christian book writer. I have written 4 picture books for Children. We have sold 20,000 books in 3 states of india. Looking publishers for other countries.Please comment. Just had to stop and say thank you for putting your time into creating this list. I’ve always enjoyed writing and have had a few things published. I may be facing disability and would have time to write. This information will be very useful. Glad to hear you’ll have some time to write. Let me know when you’re finished if you’re looking for an editor. I absolutely appreciate this very comprehensive list. Very helpful! Thank you! This is a great article, with crisp and relevant information of the publishers. Much appreciated. Thank you. Great list. Thanks BookFox. Would you mind sharing your thoughts on Austin Macauley’s “partnership agreement” where the author may be asked to cover part of the cost of publishing the book. AMac. also offers the “traditional mainstream publishing deal”. Thank you. 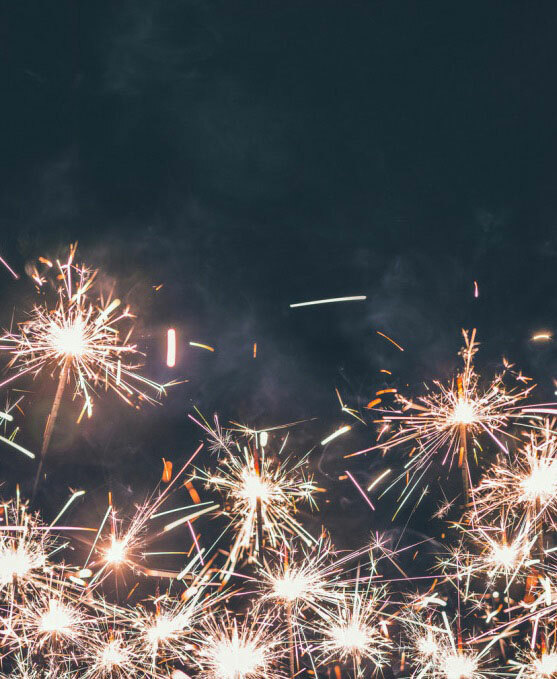 Many publishers have opted for a “hybrid model.” This means the majority of their book deals are self-publishing deals where the author pays them money, while maybe one or two books a year get a traditional (small) advance. Ultimately, it just comes down to whether you’re fine with paying someone to do the self-publishing work for you. Trying to get my first children’s book published!! I’m needing help! Do you need help with editing? Or what? We would love to be on this list as a publisher of children’s books. Please check us out at http://www.morrispublishing.com/self-publishing/books-published/childrens.cfm or call 800-650-7888 for more information. We’d love to print your book! Like everyone else on this page, I want to thank you for this list. I have looked at the backs of Children’s Books to see who the Publisher is and other various tries. Your list is extra helpful in that it explains the Specialties of each Publisher. Thank you very much. I am a Christian book writer. Wrote 4 children picture book. Sold more than 20,000 copies in our state. Looking for a Christian literature agent for USA , who can help me to find a Good publisher. God loves you. Wow! Thank you for this list. I will be submitting my children’s book manuscript very soon. As far as illustrations go, I see it is best to not submit illustrations with the book. If my book is accepted, will they hire an illustrator to do the illustrations for the book? If so, will I have any say in how the pictures are portrayed? I am strongly considering contacting a professional water color artist to do the illustrations, as I believe water color will be the best medium for portraying the innocence and affection of the book. Do you think they may be willing to work with the artist I have in mind? Truly appreciate any thoughts you have on this! You can always communicate that once they accept your book, and propose the illustrator you have in mind. There’s no guarantee, but open communication is best. (and yes, they hire the illustrator). Sounds good. If you have a draft already I can help you with editing it. Otherwise write a draft and contact me. Is it advisable to copyright our work BEFORE submitting it to a publisher? No. Read Writer’s Digest. And also this link. Basically, as soon as you write it, it automatically has copyright. Thank you for this list. What is the benefit of working with a publisher in todays world. I have read they make marketing and promotion the responsibility of the author and pay very little in royalties. If both are true does it make more sense to self publish? I think they still do a lot of work — hiring an illustrator, hiring a cover designer, editing, proofing, ISBN, handling the distribution, reselling to foreign markets and handling subsidiary rights. But you’re right, the low royalties make it worthwhile for many writers to become their own publishers. If you’re willing to do the legwork and front the up-front costs, go for it. I’m new to this I want to write my first children’s book but not me exactly its my 6 year old daughter I want her to do the writing. How do I start off with that? 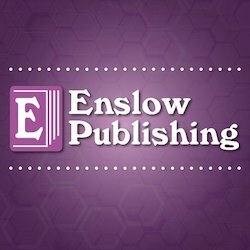 What does a publisher do and what are the fees? That would probably be best as a self-published book. You’d have to contact self-publishers (these are traditional publishers), because each of them have different rates. Very helpful, comprehensive list. I’m considering writing a children’s book (it would be my first) and am weighing the pro’s and con’s, as well as trying to figure out the best way to go about the process. I like the idea of going through a well-known publisher versus self-publishing, if possible. Do you have any helpful information on the best way to put together a manuscript that a publishing company will take seriously and be intrigued by? Hi Sarah, usually when it comes to specific advice on manuscripts and how to submit, I need to see the story to give good advice. If you’d like, I do offer a children’s book editing service that addresses the manuscript (and for extra, I review cover letters as well). My 7 year old writes books for children. Which one of these publishers accepts books written by children aged 8 years or less? In my experience most books written by children end up as self-published. I don’t know of any publishers that seek out those type of books. But you could submit it with your name as the author and see if it gets anywhere. I would recommend they submit their story to a children’s magazine instead. I have a list of them, which includes advice on how you can teach a burgeoning young writer. do. Does your list need updating? They accepted unsolicited submissions less than a year ago when I wrote the list. And yes, several of the publishers on this list stopped taking unsolicited submissions because of this post — I was sending too much traffic their way. Great list! Here’s some humor inspiration for ya! Thank you so very much for this list. I truly appreciate your time, effort, and detailed information. John, I just want to say thanks! And I am really looking forward to your FREE E-BOOK on improving my righting! (not that it needs improving…write? (winking emogee)) Seriously though, your content was insightful and informative! I self-published a book a few years ago as a personal project, however everybody I show the book to inquires into why it’s not published. Can I publish this book traditionally even though I once self-published it? I do not wish to distribute this self-published book but go about it through a traditional publisher. Sorry, but once it’s self-published, no publisher wants to republish it (unless you sell a million copies, in which case they’ll come knocking). You can absolutely have a self published book published traditionally. It happens all the time! With a little persistence and knowledge. The author of Milk & Honey, a popular book of poetry, self-published her book where it was then picked up by a publisher. So it does happen! Yes, absolutely, it does happen. You can definitely find examples. But you have to sell a lot of copies to be noticed by a traditional publisher. Thanks for the great list. One quick question: Can we send the same manuscript to different publishers, at the same time? Not sure what the protocol is. Thanks for any assistance. Yes. That’s called simultaneous submissions. My advice is to send it to about 10 at a time. The only thing you can’t do is send a single publisher multiple books at the same time. Let each publisher consider one manuscript at a time. I have drafts for a bunch of picture books and thinking of taking a childrens picture book writing course to be able to complete these drafts. Any recommendations online or in NYC? Wonderful site. Thanks SO MUCH for all the hard work you’ve put into it. I’ve been a professional writer for over three decades, but had never written for the children’s market before. Talk about an eye-opening experience! When I checked I noticed there was only a handful, if that, that came up on Duotrope. Duotrope is sort of my go to for checking out if a publisher is legit: or if they are vanity presses, charge reading fees, so on. I know Duotrope doesn’t list picture book only publishers, but it bothers me a little that most of these aren’t listed as I’ve had a bad experience with an unlisted publisher before. Why do you think they aren’t listed? I’ve always used Duotrope for literary magazines and never for publishers. But if there was a publisher genre that Duotrope might overlook, it would probably be children’s books (they probably have a much better database for literary, sci-fi, fantasy, etc.). As far as I know, the publishers on this list are not vanity presses. The one that changed into a vanity press (which small publishers do rather often, just to earn money), I removed from the list. I’m pretty sure none of them charge reading fees. I have three picture book stories. I am following the publisher’s submission guidelines, which state to send stories attached to a cover email. Does it make a stronger presentation to include all three stories with the same cover email, or should each be sent separately? Yes, send all three at one time, with one cover letter. Thank you for this list! Greatly appreciated! thanks a lot for this usefull artical. I have a question. I read most of the comments and understand that there is two ways for publishing a book. the first is self-publishing: the way that I myself should pay for my publish. What is the second way? Im university student and no have so money to pay. But I have several stories for children. The second way is to seek a traditional publisher. Either find an agent or submit to children’s book publishers who accept manuscripts directly from authors. I have written a book and song that has taught my 4 year old to spell words. I now want to have this published. The characters I use are from Disney. What are the steps to getting this book & song published together. You can’t use Disney characters. They will sue you. Suggestions on how to contact Disney and present this book & song idea? I’m a preschool teacher and it taught my daughter how to spell and she wants this song sung to her every night. I want to stress I have not used this song/book in my class but I would like too because I know the children would learn. If no, I can change the characters. Thank you so much for this list. I’m excited to share this with my friends. I am a pre-published children’s book writer and illustrator with many written manuscripts. Most of these are in the standard 200-700 word category. I have one that is a story about a child’s lost stuffed animal, set in Maine, that is closer to the Robert McCloskey model of 1,000-2,000 words. His books are always in the top three of the NE Indie best seller list. Are there any publishers that will consider this genre of picture storybooks? Many thanks for your list. 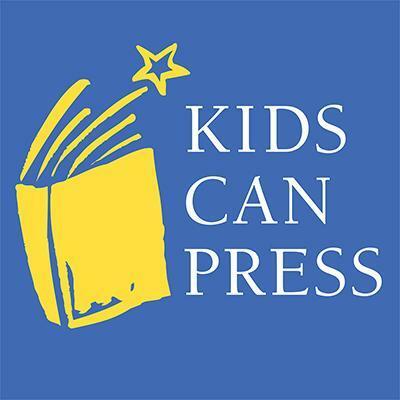 They will be open to books over 1000 words usually by established writers — it’s tougher if you don’t have a publishing history of children’s books. I am looking for a publisher for a children’s grief book, any help would be appreciated! Thank you so much for posting this list. I have a 15,000 word fiction children’s book about farm animals that I would like to sell at my farm camp as well as at stores and in schools. Do I understand correctly that if I publish traditionally, they would own the rights and I would not be able to sell at my farm? If I go the self-published route, I would have to do the marketing in schools myself. Is that also correct? Hi Sally, if the primary way of selling it will be the farm camp and schools, that would be an excellent candidate for self publishing. You’ll keep much more of the profits and you already have the marketing strategy down. Sally, just because a publisher buys all rights does not mean you can’t sell the book at your farm. It only means you’ll get a flat fee instead of royalties. But either way you’ll be able to buy the book from the publisher at an author’s discount and then sell them for whatever price you want at your farm. And yes, if you self publisher you’re on your own for marketing (or paying someone to market for you). hello T We Are an group of writers and illustrators of childrens book And we have prepared a collection of stories and pictures as projects ، Now you can give tips on how to market my group collections and publish my work? Thanks for sharing a wealth of information regarding well known publishers and their guidelines. This has truly opened and simplified the avenue/process of submitting manuscripts. Thanks so much for the list! This is incredibly helpful!!! I’ve just had my 4th book published (3 of which belong to the “Frizzle” series, as well as “My Pancreas Needs Glasses”). I do well with my books in schools, with people that live close to me and are familiar with them, as well as Book Festivals, etc. And JDRF of North Florida (Juvenile Diabetes Research Foundation) includes “My Pancreas Needs Glasses” in their Bags of Hope that are distributed to every child diagnosed with Type 1 Diabetes before they leave the hospital. However, I really need help with Marketing and reaching people in other areas! I’m hoping that a traditional publisher, if they have any interest in me, could help me get my books “out there”!!! My idea behind the Frizzle series is “Childhood Discoveries of Happiness, Love and Kindness”. Again, thanks so much for this list! This is a very extensive and extremely helpful list, thank you! I just submitted my children’s book, According to Charlie, to one from your list, so thank you twice! I subscribed to your site, so keep the great info coming. A very helpful list! Just wanted to note that Holiday House’s mailing address has changed to 50 Broad Street #301, New York, NY 10004. This website is very helpful. Once I finish my book, should I send it to one publisher to see if they are interested? Or should I send it to all publishers listed above (if the book fits the genre) to see who might be interested? Thank you! Just choose the ones that seem right for your book. But don’t send to only one at a time — try 5 – 10 at a time. I self-published last year and I’m not a fan of the print quality and lack of consistency. I also need help marketing the book, and I’m hoping a publisher would do that. Do publishers take already self-published books? Almost never. The exception is if you’ve been wildly successful as a self published author. So it sounds like this is a self publisher. If you want to go that route, fine, but know that if you pay for your own illustrator, you don’t need to pay them for anything else. You can ask the illustrator to lay it out and then publish it using Amazon’s Kindle and Createspace for free. Yes, usually in traditional publishing the publisher provides the illustrator. Thanks very much for putting together this information – I really appreciate your time in doing this! This is a wonderful list! Thank you! I am looking forward to submitting to some of these companies. Hi, I am Winda from Indonesia. I have read your list. and this is awesome. Thanks a lot for the information and your effort for a newbie writer like me. I have 2 stories and I have someone to draw the illustrations. I want my stories can be published. My question are: Do a writer need an agent? Is it for free? or the writer have to pay the agent? Do you have any suggestion for a new writer like me? Thank you for your response. You don’t pay an agent. An agent will take 15% of whatever you make from your publisher. Thank you so much for this incredible list! It’s incredibly thorough! A nice compilation. This should extensively help. Thank you! This has been extremely helpful; thank you! I am in the process of creating a book series for very young children that would ideally be published as board books. My husband would be the illustrator. Any suggestions on how to submit already illustrated manuscripts to publishing companies?? Publishers usually just want the text, rather than the illustrations + text. But if you are the illustrator, then you can explain this and send it the illustrations + text in the PDF along with a query letter. Definitely never send a rough draft — they see thousands of books and only pick the best, so it should be perfect. Besides the list of 30 book publishers, we really appreciate your comments in the Q&A. Several months ago, using Kindle and CreateSpace, we self-published e-book and paperback versions of our children’s picture book titled “PUSHBALL – A Game That’s Tasty to Eat!”. Despite getting all 5 out of 5 star reviews on Amazon, sales have just been OK. How does anyone find our book on Amazon? We’d like to get more visibility and have our book displayed on the shelves of major bookstores. We’ve read your comments on publishers not wanting to touch self-published books, but our plan was to change the format to a larger, hardcover book with a new ISBN. Do you think it would be worthwhile to send publishers a copy of our paperback along with a cover letter outlining our plan? Or do you think we should first find a literary agent who might be able to find the right publisher for us? Any suggestions you have would be most welcome. Love the title and concept of your book — sounds fun. For publishers to be interested, you have to have high sales of a self-published book. Without those numbers, I don’t think any other plan will work. And to get more visibility on Amazon, you simply need more reviews. The more reviews you get, the more visibility you get. I’ve heard numbers tossed around like 30 reviews or 50 reviews, but I’m not sure about the algorithm Amazon uses (it might be more complex than merely the number of reviews, taking into account number of stars and number of words written as well). Trying to follow your advice. We’re working on getting more visibility; more reviews; author/illustrator signing events; and hopefully driving more sales on Amazon for our self-published book titled “PUSHBALL”. In honor of Groundhog Day, (one of our main characters), we are scheduled to have a book Giveaway starting this week on TCBR, (TheChildrensBookReview). They will have it featured on their site and blog for one month. Do you think it’s appropriate to add an announcement about the TCBR Giveaway on several other Children’s book blogs as well as our own website? We’ve heard advice against outright trying to sell your book as a visitor on blogs. but does the fact that this is a Giveaway qualify it as a “newsworthy announcement”? A giveaway seems newsworthy. I’d promote it around without feeling sleazy. Love this page! Thank you so much! Do you have any advice or examples of a picture book manuscript format. I’ve seen several and would like to know what is best. This is a great list. Thank you for putting it together. Good day to you and can’t fully express my appreciation for the good work you are doing here. I’ve ever had a flair for writing and have won prizes in my tender years overseas. Presently I have my first book- a compilation of six children stories accepted by a uk publisher since February 2018. The progress seems very slow. The second book- same 6 stories compilation is ready for editorial appraisal.. and the 3rd and 4th books nearly ready but I’ve been discouraged by my unmet expectations with publisher. My contract did not tie me to my publisher but only indicated that they (publishers) will like to have a first refusal of my next work. Should I look for another publisher, there’s something unethical/irregular about that to me… Self publish? NO mistake, these are very different type of children story, different orientation, with a different sense of humour and teaching didactic lessons to children. Your genuine efforts here made me wish you are a literary agent…maybe you can spearhead the collection in a better direction. You sound transparently honest and with a good heart that wishes others well. Kudos. I was going to contact Olympia publishers one of the publishers that showed interest in my work before I chose my current publisher. Is Olympia publishers good, and within what time frame is reasonable to expect a book published? Somehow I have to apologise for this lengthy message. Thanks a lot for your time and all. Thank you . Thank you. Thank you. Wonderful resource for independent writers. Thank you for the wonderful information you have provided. I have been working on a children’s book (my first) and am now ready to submit in hopes of having it published. Do you recommend sending it off to more than one publisher at once? Yes, send to at least 10 at once. And research some agents and send to ones that sound right for you as well. I join the others in thanking you for putting this impressive list together and all of the personal advice. I finished my first book a few months ago, and have been tweaking/editing it to the point where I can’t personally think of any way to improve it further. In addition to my (rather long) manuscript, I also have concept sketches for the illustrations (I have almost no artistic ability), aided by my extremely talented wife (who has thrown out the idea of illustrating for me). The story is about an unnamed child who goes out to play in different environments (forest, beach, mountain, etc.) each day, and befriends a different bird that tells him/her about the habitat and animals, and why it is important to keep the habitat clean and safe. The whole story rhymes, and many of the verses repeat throughout. Your list has given me inspiration for finding publishers, but I am more than slightly balking at the prospect of compiling my manuscript and sending out presentation letters (especially where I haven’t come up with a good title). Do you have any advice for me? Well, it sounds like you’re at the stage when you need an outside eye. If you have a children’s book writing group, I would have them look at it. If you don’t, I’d be happy to help you with editing. Bookfox, thank you very much for doing that list, serving us by saving our time. Blessings!!! Thank you so much for putting this list together, this has been most helpful! How up to date is this list? Or, have these publishers stayed the same in the past three years with what they are looking for? I am very new to all of this, but am in the process of finishing my first book. Also, just out of curiosity, how much do you charge to edit/read? Do you or did you have an agent or recommend getting one if you are new to the game? I keep it up to date. If you find something that isn’t current, let me know and I’ll change it. 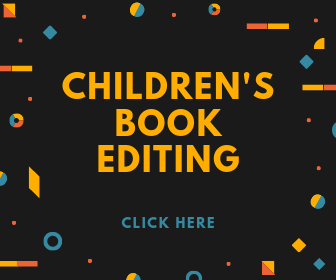 Check out my children’s book editing for my rates. An agent will allow you access to bigger publishers, but it’s difficult to get one. You have to write an incredible query letter and have a very marketable idea. Hello BookFox! I have written a page-by-page description for a wordless picture book. Since I’m not an illustrator and this is my first time venturing into the world of “writing” a children’s book, is this the best way to submit it? I’m guessing most wordless picture books are conceptualized by an illustrator, so just curious if there’s anything else I should know before beginning to submit in this format. Thank you! Wordless books are very difficult to submit. It’s key to be as concise as possible with descriptions — they’re judging this whole book on how you write the description, even though none of the words will make it inside. Yes, most wordless books are written by writer/illustrator authors. Thank you, the list is still extremely useful! Hello there! I have a picture book that I self-published and I’m realizing that wasn’t the best decision. Personally it was a great decision because it was something I needed in my life at the time. But as far as getting to a larger audience I am finding it hard to get picked up by a larger publisher. I thought the book was good, but reaction from people who read it has been outstanding. People are telling me it’s their kid’s favorite book and asking when the next book is coming out. It’s only available in my local store where it has sold nearly 300 copies in about 9 months making it the 2nd most sold book in that store for 2018. The reaction I get when I read it to classes is outstanding with kids laughing through the entire book. So while I am very proud of the book I was wondering if you have any suggestions of where I can go from here. Once it’s been self published, a traditional publisher won’t look at it unless it sells a great number of copies (10,000 – 20,000 at minimum). But I would recommend writing the sequel and pitching it to agents and publishers. Thank you for your helpful and informative website. I have written around 200 poems (mostly for children) and am an artist and can illustrate them myself. They are mostly to do with nature, birds, spirituality, imagination. I really need to get them out there. Would you advise approaching a publisher with the collection, ready illustrated, or asking them first? Which publisher would you suggest please? I’m in the UK. It depends on your skill as an artist. If you’re good enough, then yes, the publisher would love poems with artwork. But they might also say that they want to hire their own illustrator. 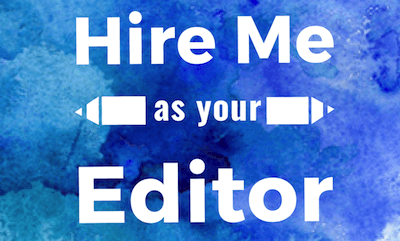 And let me know if you’d like to try out my editing services! Nice Initiative.Thank you so much. I have one humble question.I am from Marathi speaking community and writing stiries in Marathi itself. Almost all rural students in Maharashtra are hungry for good marathi books. If I want to publish my marathi stories if anyone is there who will help me for this noble cause?